Tucson Police are investigating the scene where an item that looks like a human skull was found in a dumpster on the south side. 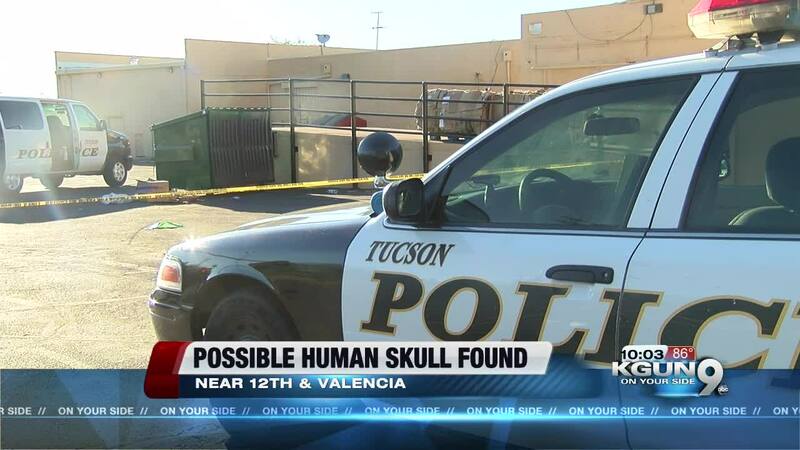 TUCSON, Ariz. — Tucson Police in Arizona are investigating the scene where an item that looks like a human skull was found in a dumpster on the south side. Police say someone was looking through the trash at 659 W. Valencia Rd. in Tucson on Saturday afternoon when the item was found. A medical examiner is on the way to the scene to collect the item and will take it back to the lab so a forensic anthropologist can determine if it really is a human skull. Tucson Police officers are looking through the dumpster to see if they can find anything else suspicious in its contents. Stay with KGUN9-TV and kgun9.com for more on this developing story.